Look at this cover! How could I not post this review on St Patrick’s Day? Clive loves green, just green! He loves wearing it, and he thinks he looks very cool but his big sister certainly does not and takes every opportunity to mock him and call him all sorts of names: cabbage, sprout, mould, beastly bug…. But Clive disagrees; rather, he sees himself as a crocodile, and if his sister won’t play nicely …. 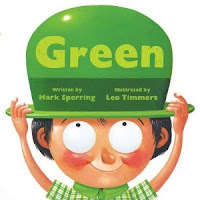 Green is a great story of sibling rivalry: a little boy with an obsession (as so many seem to have) and a really annoying big sister who loves taunting him about it. This was always going to end in tears. 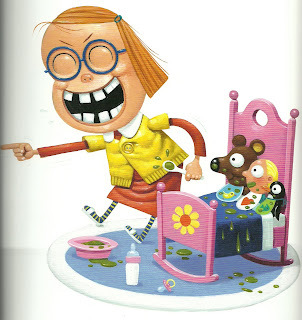 This is a very effective cautionary tale, which can be used both at home to defuse sibling rivalry but also to illustrate teasing and bullying. 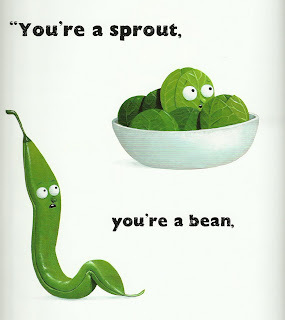 This book was very much enjoyed in my house, which hosts a fair amount of sibling bickering! A great book from a publisher which I knew very little about but have some fantastic titles out this year. More to come soon!